India has finally kick-started its "mother of all underwater defence deals" after an excruciating 10-year delay, with France, Germany, Russia, Sweden, Spain and Japan being in the fray to build six advanced stealth submarines for an estimated Rs 70,000 crore ($10.9 billion) in collaboration with an Indian shipyard. This conventional submarine programme called Project-75 (India), languishing in politico-bureaucratic apathy, files and committees since it got the government's "acceptance of necessity" way back in November 2007, is likely to be the first mega project under the new "strategic partnership" policy finalized by the defence ministry in May. But it's early days yet. The six shipbuilders, Naval Group-DCNS (France), ThyssenKrupp Marine Systems (Germany), Rosoboronexport Rubin Design Bureau (Russia), Navantia (Spain), Saab (Sweden) and the Mitsubishi-Kawasaki Heavy Industries combine (Japan), have to first respond to the RFI (request for information) issued to them last week by September 15, say officials. The Navy will then formulate the NSQRs (naval staff qualitative requirements) before the formal RFP (request for proposal) is issued to the six for submitting their technical and commercial bids for evaluation. The Indian shipyard for the strategic partnership with the selected foreign collaborator will be chosen in a parallel process. "It may take around two years for the original equipment manufacturer (OEM)-Indian shipyard combine to be down-selected. Moreover, the first new submarine will roll out only seven to eight years after the final contract is inked. But the aim is to fast-track the entire process," said a defence ministry official. The Navy wants the six new diesel-electric submarines to have land-attack cruise missiles, air-independent propulsion for greater underwater endurance and the capability to integrate indigenous weapons and sensors as and when they are developed. "The stress will be on transfer of technology from the OEM and indigenization. 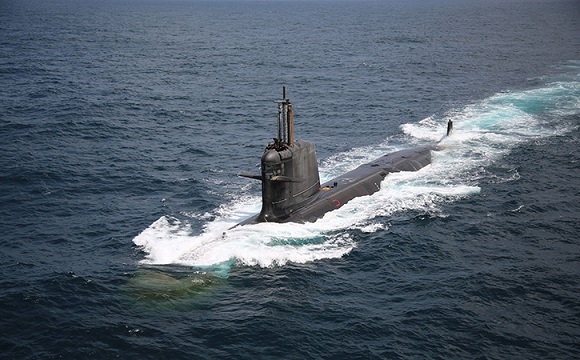 The submarines, to be built with indigenous steel, should also be less maintenance-intensive to ensure a better operational cycle with minimal downtime," said the official. As per approved plans, the Navy should have 18 diesel-electric submarines as well as six nuclear-powered attack submarines (called SSNs) and four nuclear-powered submarines with long-range nuclear-tipped missiles (SSBNs) for effective deterrence against China and Pakistan, as was earlier reported by TOI. 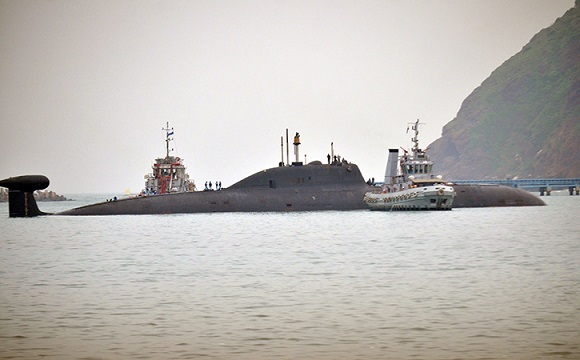 But the force is grappling with just 13 old conventional submarines, only half of them operational at any given time because at least 10 of them are over 25 years old, apart from two nuclear-powered submarines, INS Arihant (SSBN) and INS Chakra (SSN). The six French Scorpene diesel-electric submarines being built in Mazagon Docks under the Rs 23,652 crore Project-75, after an over four-year delay, will all be delivered by 2021. But by then, many of the 13 existing submarines will be up for retirement despite mid-life upgrades and refits. 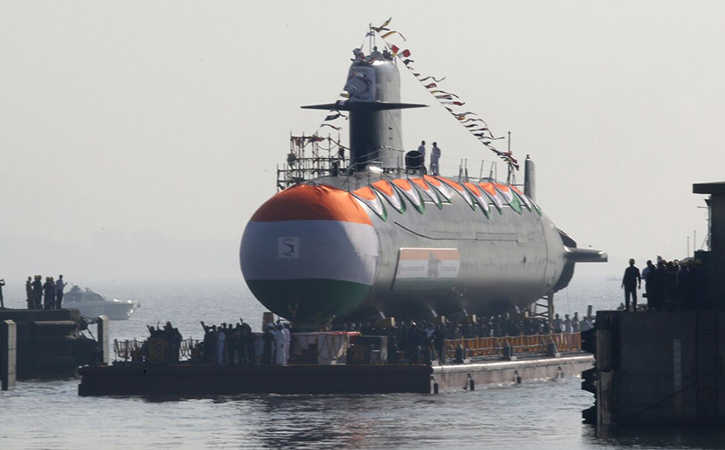 While Russia, Germany and France already have submarine-building experience in India, the possibility of Japan also being included as a contender for Project-75 (I) was first reported by TOI in January 2015. Given the personal chemistry and the desire to deepen the bilateral strategic ties between PMs Narendra Modi and Shinzo Abe, India had then asked Japan if it was interested in offering its latest 4,200-tonne Soryu-class submarines for Project-75 (India). But even though Japan has junked its decades old self-imposed arms export embargo, it has little experience in hawking its military products in the global arms market. "Project-75 (I) may just be the right arena for Japan," said an official.